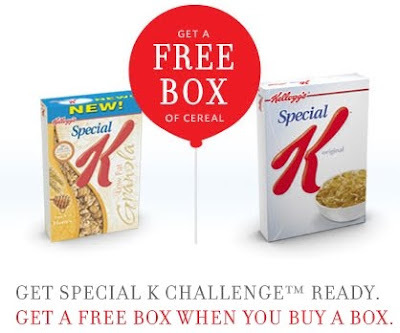 Get a free box of Special K cereal when you purchase one box of Special K cereal. The Free box of cereal is limited to Special K Low Fat Granola 19.5 oz or Special K Original 12 oz. Coupon expires 1/31-10. Note: You can only print 1 coupon.